One of the most compelling questions asked after every election year is "what will it take to get young voters to head to the polls?" 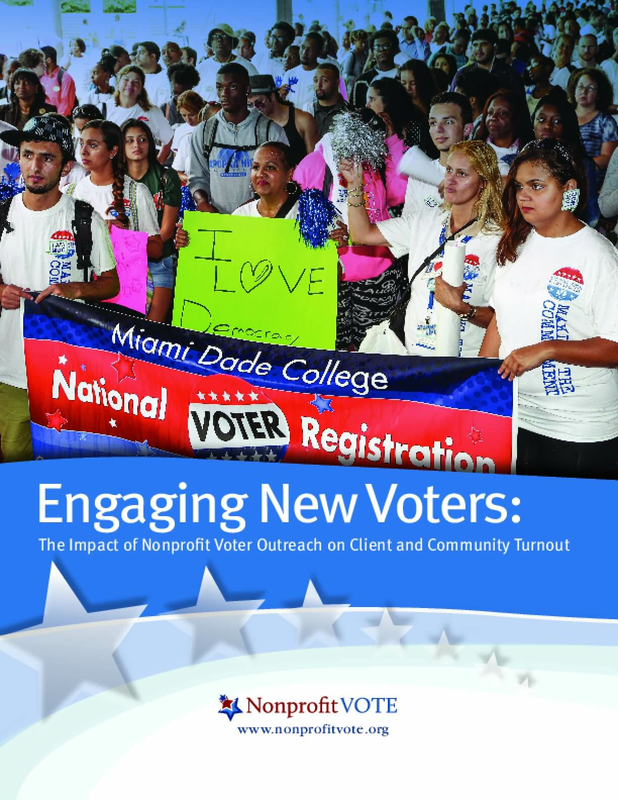 This year, we are releasing an important update to our Engaging New Voters report that aims to answer that question. Working with over 120 nonprofit partners across nine states, we examined the trends of nearly 5,000 young voters (those under 30) and found some striking results. Most importantly, we found that voter turnout among the young voters contacted by nonprofits was 5.7 points HIGHER than comparable young voters in the study area. And these results were seen across race and gender, with young women showing the biggest gain of 6.5 points, Additionally, we found the efforts of nonprofits to reach communities often overlooked in the political conversation WERE being realized -- as we saw contacts being twice as likely to be Latino and 1.6 times likely to be Black. Copyright 2016 by Nonprofit Voter Engagement Network. All rights reserved.